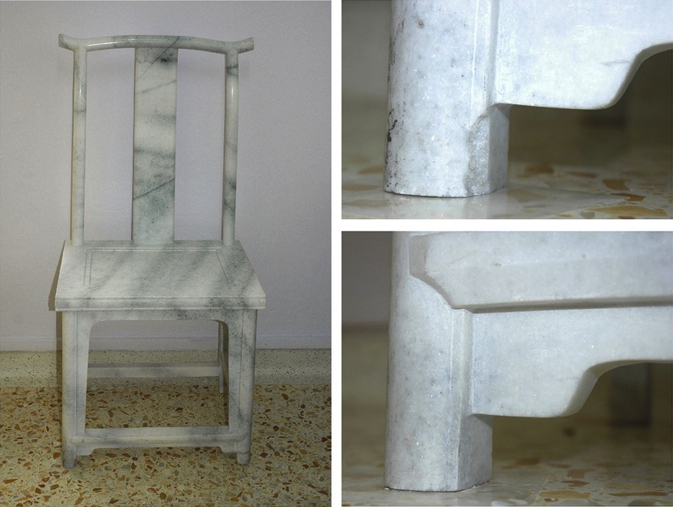 Aiweiwei "Marble Chair": The chair had various chips and scratches. The blemishes were removed, the missing areas rebuild and colour matched. The new added areas are completely reversible and blend in well with the orignianl surface. 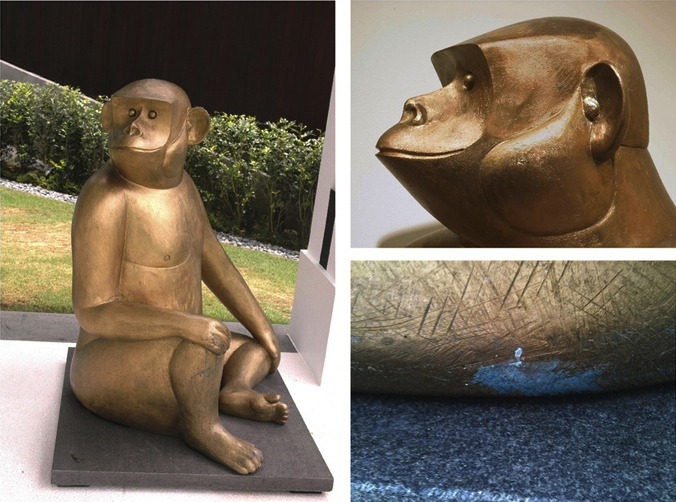 Francois-Xavier Lalanne "Singe Avise (Moyen): The patinated bronze monkey was damged due to weathering and in parts light green copper chloride corrosion had formed. The surface was cleaned and treated with a complexing agent to inhibibt further corrosion. The damaged patina was colourmatched using pigments and an acrylic binder. 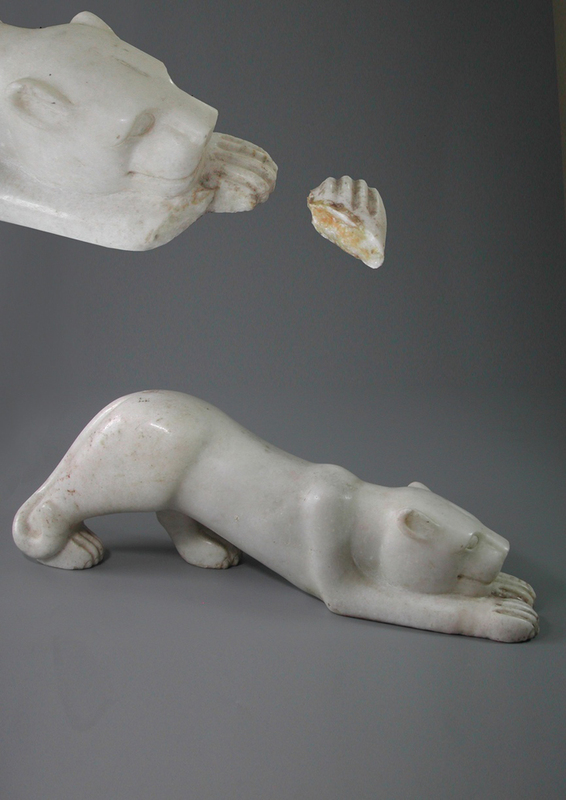 The indian marble leopard had an old fracture at the proper right front paw restored, which opened and needed to be be rejoined. This was then colourmatched.